Was the Medication Error Concealed? You are an attorney who suspects a patient’s care involved a medication error. What do you need to know to investigate this possibility? Methods of detecting medication errors reveal widely varying results. Some medication errors are not reported because they are not noticed by the person who made them. Accurate information regarding errors relies on voluntary reporting of errors by those who make or observe them. Despite a “just culture”, many nurses, physicians, and pharmacists fear punitive action will be taken by their licensing boards in the wake of a medication error, whether it was a near miss or a fatal error. Fear of punishment from licensing boards may greatly contribute to underreporting of medication errors. Many nurses fear they will receive a verbal or written reprimand, or be required to undergo education, even if the error never reached the patient. Drug levels are infrequently tested in hospital and other organized healthcare settings (nursing homes, home health care), with the exception of drugs classified as those with a “narrow therapeutic windows,” such as Digoxin, phenytoin, Gentamycin and other aminoglycosides, and Vancomycin. With these drugs, the drug levels are routinely ordered as part of a therapeutic drug monitoring effort usually coordinated by the pharmacist in the institution. If a medication error is suspected with one of these medications, the attorney’s legal nurse consultant or expert should closely examine the physicians’ or pharmacists’ notes. Expect these professionals to look to determine if blood levels were ordered or if appropriate clinical laboratory testing was ordered. The investigation includes determining if the frequency and timing of the testing was appropriate and then examining and interpreting what levels were reported. Were the levels subtherapeutic, therapeutic, or toxic? 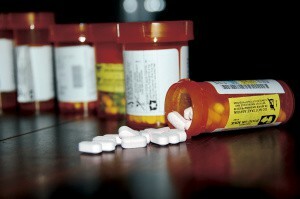 If a drug overdose is clinically suspected, the physician might order a toxicology level on the blood or other fluids of the patient (or decedent), as well as the contents of any drug administration delivery systems (syringes, syringe pumps, IV bags, and so on) to determine the identity and concentration of any suspected substances. This is particularly important in death investigations. If a suspect drug or medication is unknown to the medical examiner, it is unlikely an analysis for its identity and concentration will be performed, and therefore, it will be missed. If it is early enough in the case investigation, the sample may still be stored at the medical examiner’s office or at some off-site toxicology laboratory. Consult with a pharmacologist or toxicologist to determine the potential for identification of toxic substances stored in biological fluids taken during an acute event or postmortem. Many attorneys petition the court to order preservation of any existing biological fluid specimens for future forensic evaluations; contrary to most hospital clinical labs, forensic labs maintain samples for at least six months or longer if requested. Computerized surveillance may also play a role in uncovering certain errors. Medication errors involving narcotics may be detected by searching for Narcan (naloxone) orders for patients (Narcan reverses narcotics overdoses). Several hospital computerized medication order entry systems have the potential for identifying adverse drug events. Another sentinel antidote is an order for Benadryl (diphenhydramine) “stat,” the drug of choice for allergic reactions. The order may not say, “patient has a rash,” but the order of an antihistamine is the classic first-line response for a drug allergic reaction. Next, the physicians would order corticosteroids (Solu Medrol or Hydrocortisone), which reduce the inflammatory response, and medications like Adrenalin (epinephrine) used to stimulate cardiovascular function and overcome pulmonary toxicity. Orders for any of these critical intervention drugs are strong evidence that a drug reaction has occurred, and dictates a very thorough review of the medical records, or later in discovery, interrogatories, or questions to treaters involved in the care of the patient. Discussions or notations of drug reactions are not always recorded in progress notes by attending physicians and are rarely documented in the discharge summary. Even when the discharge summary or operative notes are made after an adverse event or death, notes about the drug event are frequently absent. It often takes a skilled health care professional to detect medication errors which healthcare providers have attempted to conceal. Allegations of tampering with medical records complicate a case and increase its seriousness. Contact Med League for assistance in reviewing medical records for evidence of medication errors. We’re glad to help.